We recently moved to NH from CA and know nothing about lawn maintenance here. We have 2 large dogs and a sloping 2 acre yard. What grass seed should we use to overseed weedy areas? What type of fertilizer and when? We prefer pet friendly products. Thanks! Welcome to New England, and welcome to the Home Depot Community! That is quite a move, adapting to the Northeast’s short growing seasons will take a few season for you to adjust to, but I am sure you will love our amazing, changing, landscapes and weather. I work in the aisles of a Boston, Massachusetts area Home Depot; I always recommend the Pennington, Northeast Blend of grass seed to my customers. The seed mix has a hardy, native blend of seeds that thrive in our ever-changing climate. I have never had one customer come back to say that were not satisfied with results of using this regional blend. This year the seed has improved as a “smart seed”, acclimating to less watering in case of a drought and town watering bans. The seed also seats better because it hold moisture at the soil level, helping to accelerate the germination. Check out the Pennington link for the Northeast seed blend, and the proper application process for reseeding, or over seeding. It is tough with dogs to start with, the dogs need to stay off the newly seeded areas until first or second mowing….for best results, and the roots to take hold. 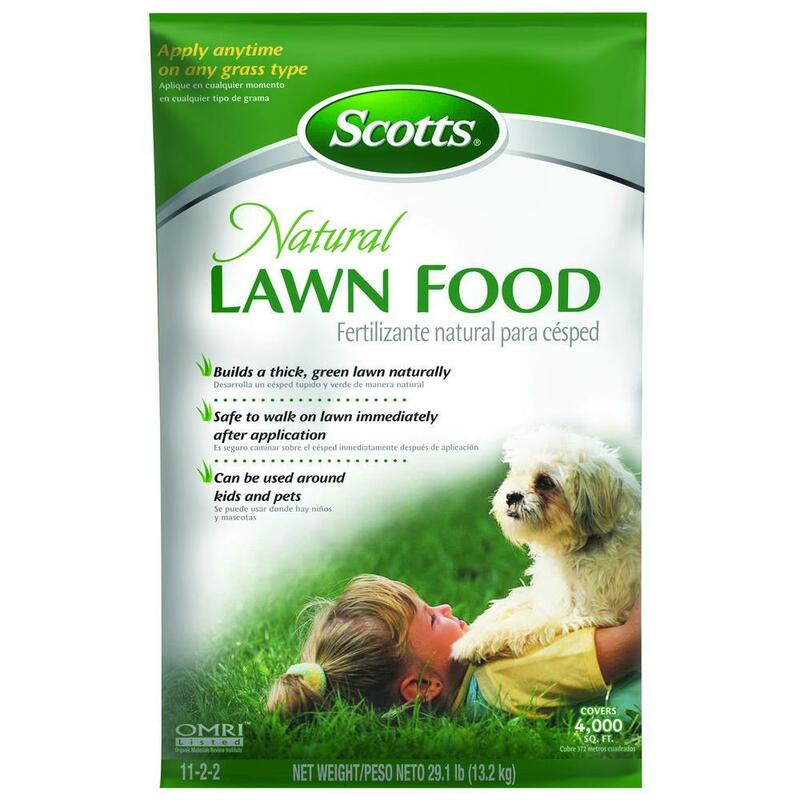 As for fertilizer, because the dogs will be off the area, I recommend; Scotts “Starter Fertilizer”, this fertilizer feeds the existing lawn and helps to build a strong root structure to the new grass. You can apply this at time of seeding or you can opt for a fertilizer later in the process. Scotts also offers a “Natural Fertilizer” for lawns, the comments for this product have always been positive in the aisles, please read the customer responses on line. This product is to be applied to an established lawn to thicken it up and bring it to the greenest of green, safe around pets and children it can be walked on right after application and it is organic! Once you have mowed the new lawn twice, apply the Natural Fertilizer and water it in, remember: safe for dogs!